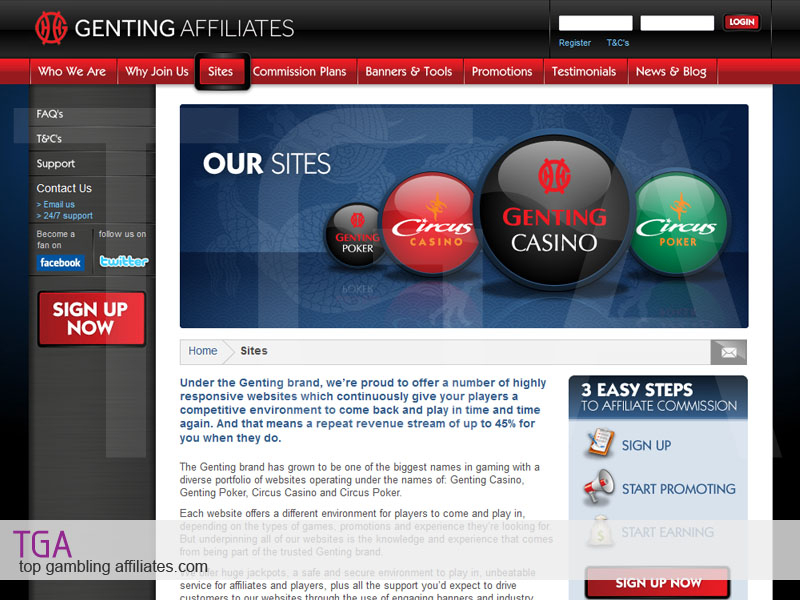 Circus affiliate program for casino and poker is part of the Genting group of companies and comes under the same umbrella of one of the world’s largest gaming groups. The online brands of Circus were started after success offline in land based casinos, and offers affiliates the chance to earn some very generous commission in a tiered revenue share deal. Circus is known for big bonuses, big payouts and big cash prizes so you can be sure you will attract referrals with this high-paying brand. They offer one of the best CRM control panel for managing your referrals and payments and provide excellent support should you need it. 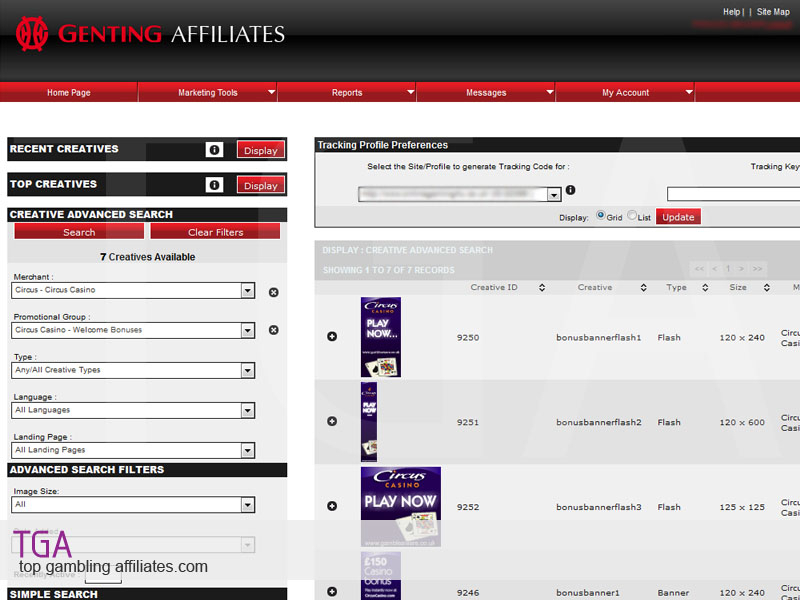 Circus gives affiliates the chance to be part of casino and poker networks that are known for high conversions, high player retention rates, prompt monthly payments on qualifying months, and no-negative carry-over on commissions.